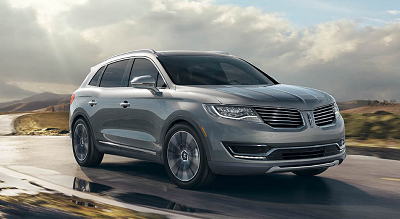 The 2016 Lincoln MKX near Hattiesburg, MS is the vehicle for people seeking a smooth ride on open roads. Especially suited for the highway, this Lincoln boasts the power and speed to take you to your destination with comfort, ease and free of hassle. Want to bring your friends along for a ride? There is more than enough room for all of them, and you will all enjoy a quiet and comfortable driving adventure. Check it out for yourself at Lincoln dealers serving Hattiesburg, MS. This latest model features two powerful engine options. The base 3.7-liter V6 offers 303 horsepower and 278 pound-feet of torque. Though it’s already enough for your driving needs, you can throttle up if you want with the 2.7-liter, twin-turbocharged V6. This option hikes the speed and power up to 335 horsepower and 380 pound-feet of torque. Posted on September 13, 2016, in Business and tagged 2016, dealerships, hattiesburg, lincoln, mkx. Bookmark the permalink. Leave a comment.